AceBy is a mobile app that matches customers with local Freelancers. AceBy is your one-stop platform for all your service needs. We’ve got thousands of Aces ready and willing to help out. So, when you post a job you need done, there’s a good chance there’ll be someone around the corner who is eager to help! AceBy makes it incredibly simple to find the right people for any job, because finding a great service professional shouldn’t be so hard. Post your need, get offers and then message the Ace of your choice – right from the app. Find the help you need on AceBy. Instead of spending hours researching businesses and calling around for estimates or quotes when you need help, let AceBy do all the work for you. Simply let people know what you need done by posting a job, then choose the bid that works best for you! AceBy gives you the flexibility to do the job you love. You decide on a fair price and choose how, when and with whom you want to work. You’re in complete control! Whether you’re a freelance professional, small business owner or just looking to earn some extra money, AceBy is proud to help you find new customers and help you grow your business. You’re great at what you do. You shouldn’t have to be a marketing expert too. • If you need more details, you can contact the employer via private message or voice calls from within the app. 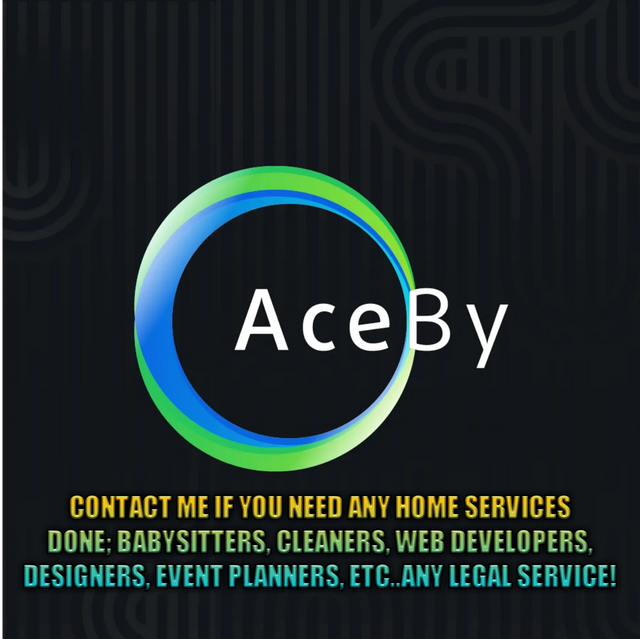 Available on AceBy are some of the most common and in-demand services for offices, workplaces and homes everyday. If there’s a need for it, there’s someone who can do it! • Home Services including: home improvement repairs, cleaning, gardening; personal training; wedding planning; private tutoring; life coaching, etc. Payment is made when an offer’s terms are agreed to between both parties. The payment is then held securely and released only when the job is done. This way both Employers and Aces can be confident that payment will be delivered without hesitation the moment the service/work is completed to both parties satisfaction. To ease any worries – AceBy makes sure the Ace has liability insurance while performing most services*. Insurance coverage is limited to Canada. ** I don't own this startup. I am just a fan of AceBy. This is not a scam and I am happy I have found this great opportunity.